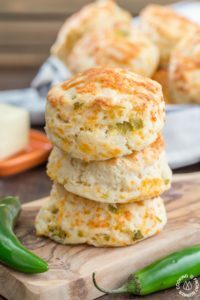 These Green Chile Cheddar Biscuits are perfect with a bowl of your favorite soup or chili. 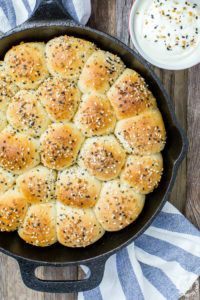 They are light, fluffy and kicked up a notch with green chilies. Eating them by themselves is a good snack idea too! 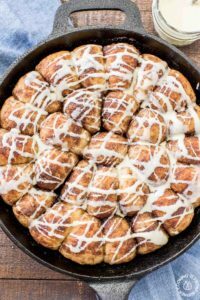 These Gingerbread Rolls with Eggnog Glaze are the perfect holiday breakfast treat! 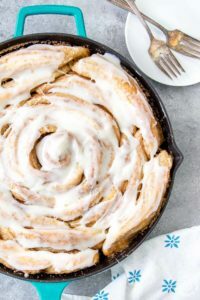 They are so easy to do and make your kitchen smell wonderful while baking. 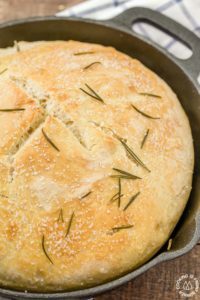 This No Knead Skillet Bread is the easiest around town with only four ingredients. Start it mid-afternoon and serve it with your favorite meal tonight! 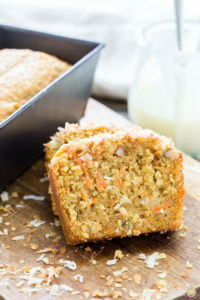 Carrot coconut bread is loaded with carrots, coconut, and walnuts. 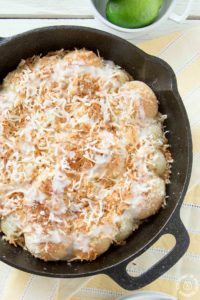 Topped with a creamy glaze and toasted coconut. 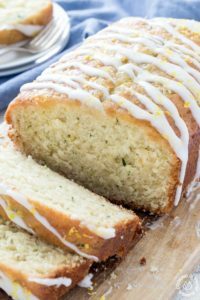 This easy quick bread recipe is perfect for breakfast or when company calls! 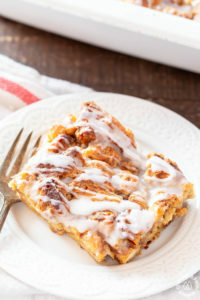 Orange Pecan Pull Apart skillet rolls will become your favorite breakfast treat! 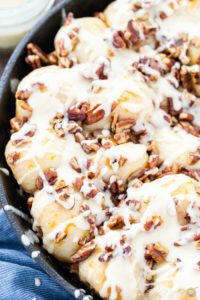 With creamy orange glaze and crunchy pecans, these pull apart rolls are great for breakfast, brunch, or holidays.